General Scholarship Fund has raised $ 1,805 from 29 gifts! Support the General Scholarship Fund on #MaryWashDay! 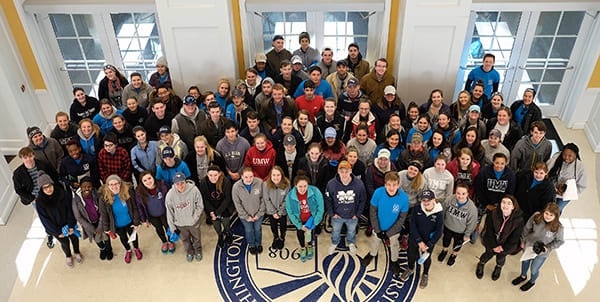 Nearly $2 million in donor-funded scholarships are awarded to more than 500 Mary Washington students each year. Many of these students would not be able to afford a college education without the support of the University's generous donors. Your gift to the General Scholarship Fund on Mary Wash Giving Day will enable the University to make an outstanding liberal arts and sciences education affordable for more students. This fund supports scholarship awards for bright students with demonstrated financial need. If you would prefer to designate your gift to a specific scholarship, please choose "Other" on the donation form and note the name of the scholarship in the text box provided.